Use this Printable Lent Calendar to track the Sundays and feast days of Lent. 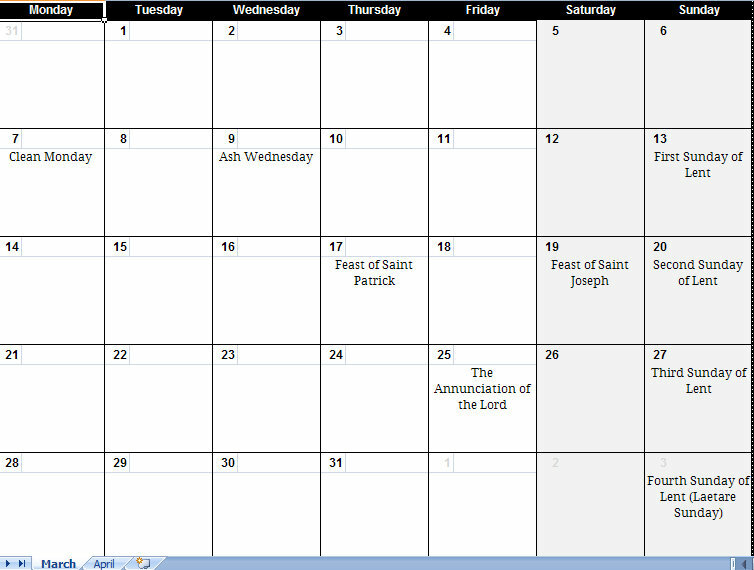 This calendar contains a March Lent Calendar and April Lent Calendar. Download this Printable Lent Calendar today!